Our home is sort of known for being a cat care center. Drop offs, strays, neighborhood cats- they all come to visit and grab a meal. Just this week, I found a little furry black kitten with a bleeding tail waiting in the yard with the regulars. We patched him up, gave him some medicine and a warm meal and dubbed him Ser Fluff, for his extreme fluffiness. Before he left, he bunted his gratitude (it’s a form of affection in cat language), not to the humans, but to my husky. Now, he greets the dog in the yard every time she goes out and follows her all over the farm. Ser Fluff isn’t the first cat to fall in love with my dog. Her BFF is my house cat, WyattDerp. They watch TV together, cuddle on the couch after midnight, hunt spiders together, and even share meals. I’ve seen cross-species friendships at work in my own home and know firsthand how strong the bond can be. That’s why Romeo and Juliet’s story was so touching when I read about the duo. 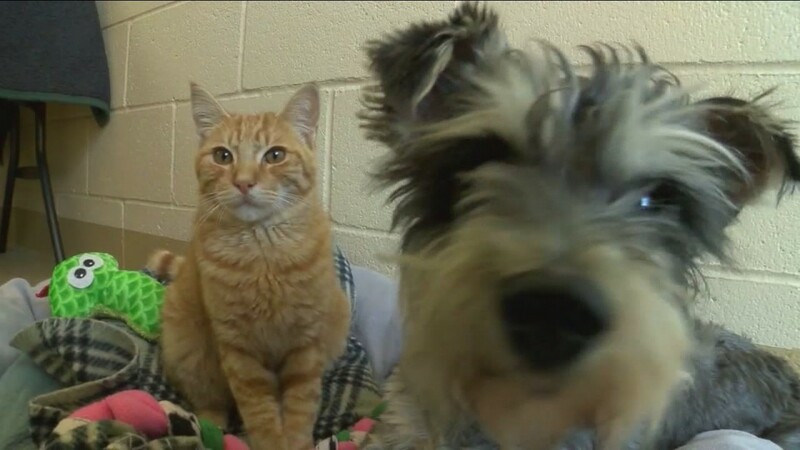 Meet Romeo and Juliet, both residents at the Chula Vista Animal Care Facility in California. 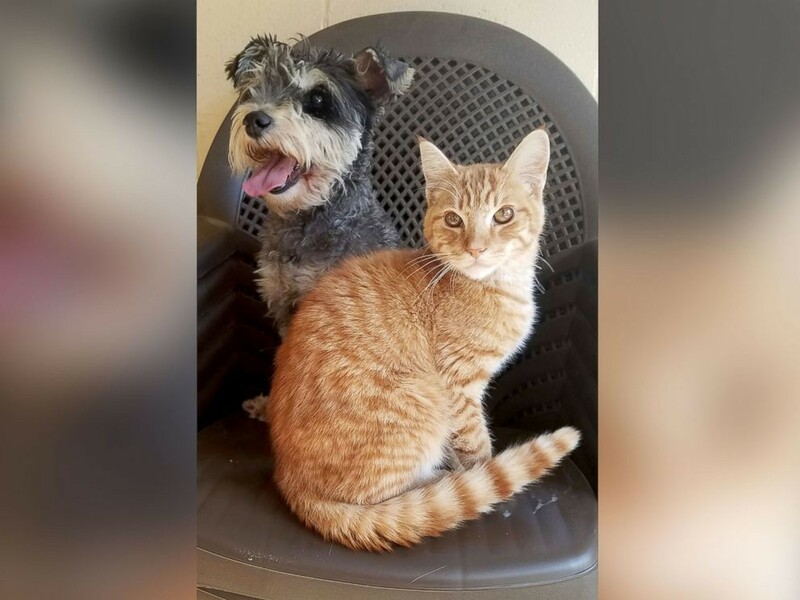 Like most animals, they were separated upon arrival- Romeo going to stay with the cats, and Juliet going to live in the dog wing. But Romeo’s health began to decline rapidly. The staff treated him promptly, but he just didn’t seem to respond, until one observant staff member got the idea to bring in Juliet. As it turns out, Romeo’s heartbreak over losing his Juliet was damaging his health. They truly are star-crossed lovers dependent on one another’s companionship. Once reunited, the pair began to thrive. 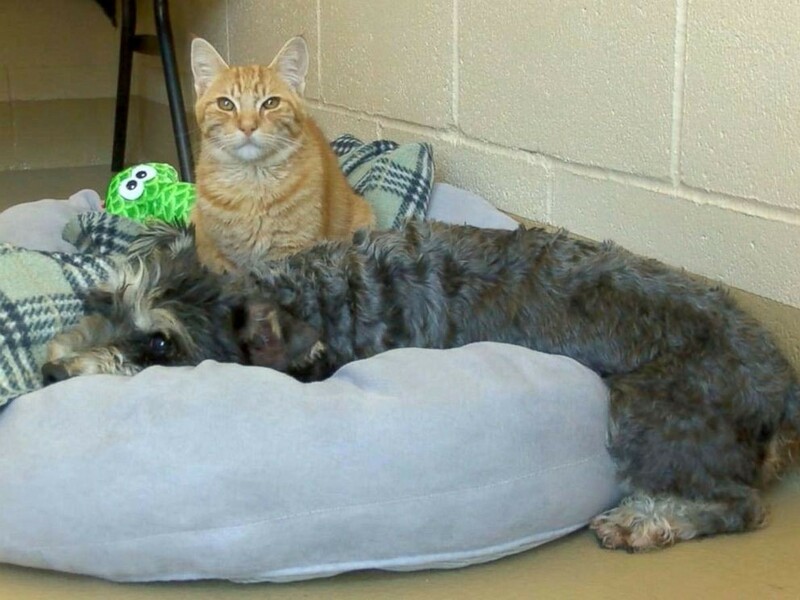 Now, they’ll only be adopted together, as a bonded pair. 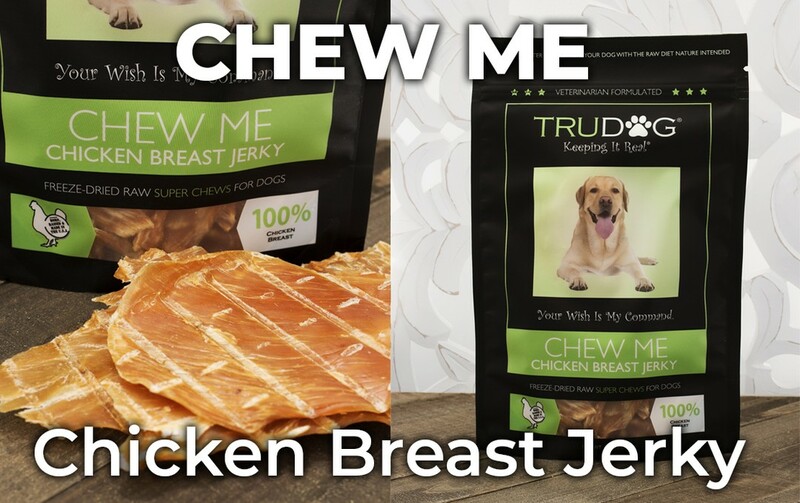 TRY CHEW ME CHICKEN BREAST JERKY TODAY! JUST CLICK HERE!